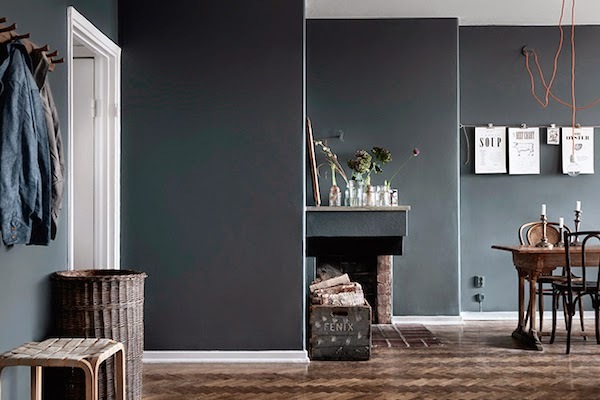 I recently showed you the work of photograper Johan Sellen in a former post about this amazing Raw industrial apartment in Sweden For this home he teamed up with Swedish stylist and author Hans Blomquist while styling and shooting a home that is up for sale. 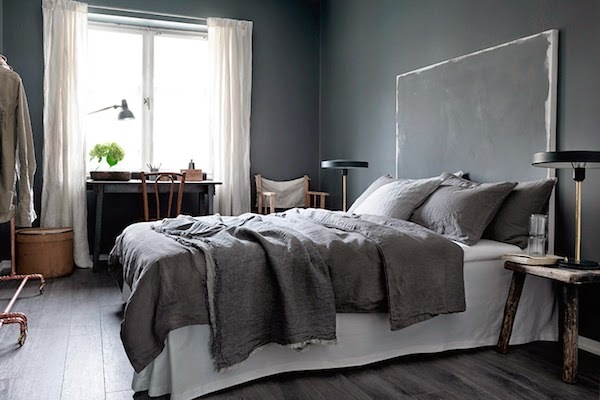 Est magazine showed several versions of the same home just to show how effective the right styling can be when it comes to selling your apartment. follow the link to have a look at the other two! 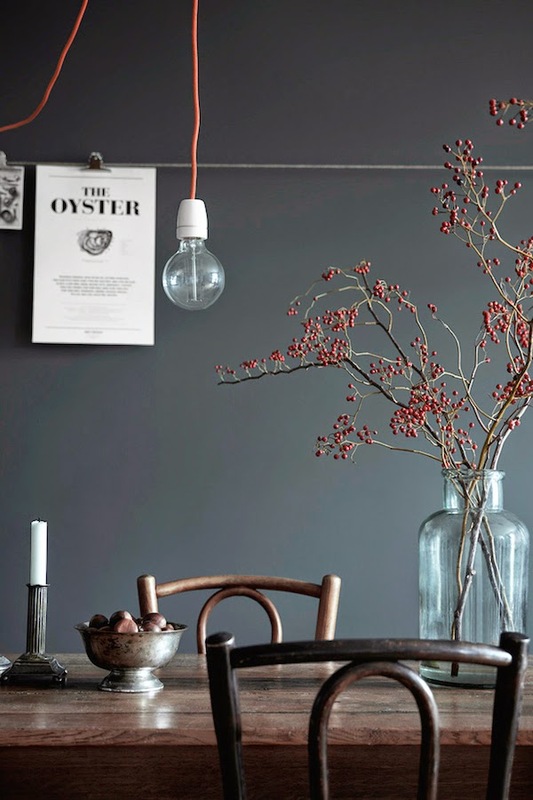 I am amazed by the dark grey palette and desperately seeking for a bench like this for my kitchen, so if you have an old gymnastic mat laying around let me know I gladly will design the bench coming with it. 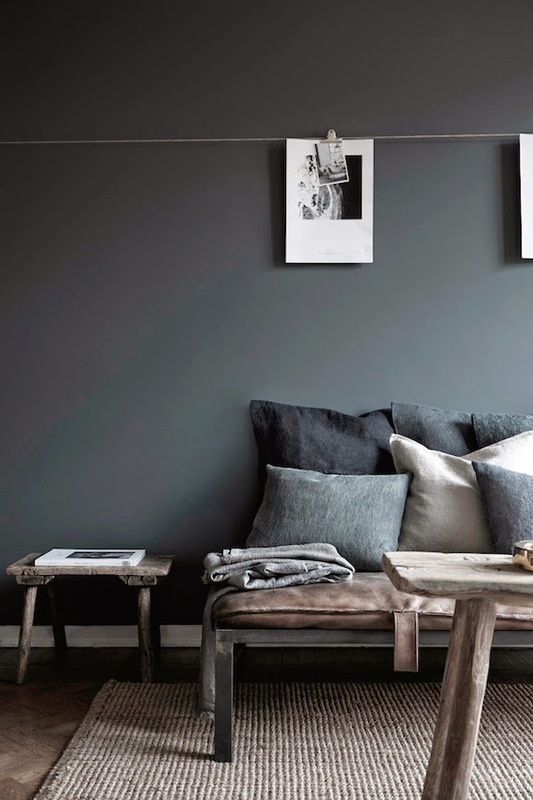 This picture has been shown before but still I thought it deserved a place on my blog because it is one of those images that are stuck in my mind since the minute I saw it, and who knows it might bring me closer to design a bench like this.